A version of this story has been published in July 2014, in the Sunday edition of Deccan Herald. With the unfortunate sobriquet "poor man's Ooty" hanging heavy over its head, it would seem like Yercaud doesn't stand a chance. But maybe, people don't give it a chance, treating it as a day-trip option. Sure, it's used by Salem-ites as an extension of their city. Sure, it does not feel as exotic as a hill-station is supposed to. Sure, it's not as much travel as you'd expect, for it to feel like a holiday. But maybe, that's what prevented it from 'developing' too much. Excessive creature comforts are missing: you don't have a choice of twenty hotels to stay in, not many options for eating out or entertainment and no roads lined with shops for retail therapy. Now that I've told you what Yercaud is not, you probably are wondering what Yercaud is about and what I did there. One weekend, fed up with 7-day work weeks, off I went. 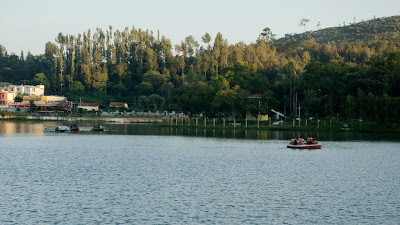 It helped that Yercaud is so easily accessible from Bangalore. At the end of my drive, my introductory view of Yercaud was the noisy area around the lake; I immediately doubted the sagacity of coming here to relax. At check-in, they were surprised to hear that I planned to stay for three days. I was told about the viewpoint-temple-waterfall-lake-garden circuit I could take. And I was told that once I've done the circuit, in a day at the most, I would be done with Yercaud. Hmm. In the early 19th century, the British visited Yercaud and began setting up coffee plantations. 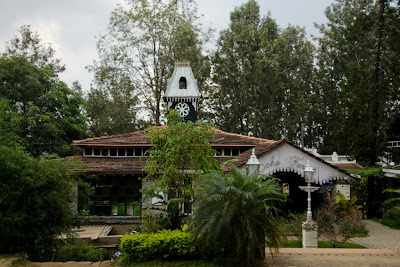 By the mid 19th century, Yercaud was brought under British rule. They established estates, built a few buildings, schools etc. 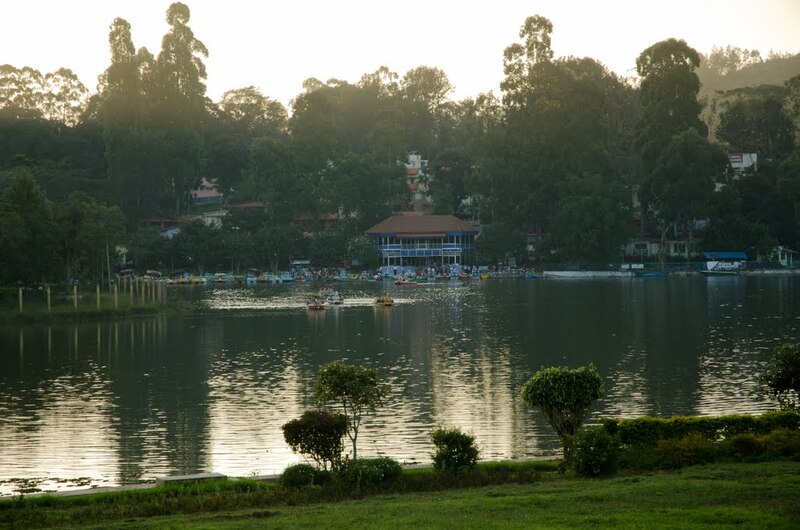 For the British living around sultry Salem, salubrious Yercaud must have been a pleasant respite. Centuries later, I could still see why; by evening, a strange languor had seeped into me. I felt as relaxed as I'd feel after a few days on a holiday. Maybe it was the nip in the air or the chirps of the winter migrant birds which had begun arriving. Maybe it was the vista of coffee plantations or the mist which slowly enveloped everything. Maybe it was the hot soup or the comfort food. Or, small luxuries like calling for hot 'Horlicks' at midnight, curled under the blanket with a long-pending book. 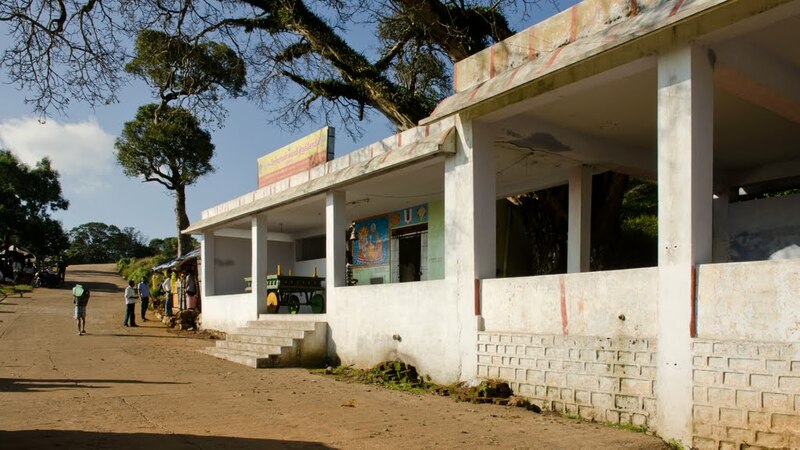 Yercaud calls for a simple routine of sleep-eat-walk-sleep. If you seek more activity, make it sleep-eat-walk-read-sleep. For the adventurous, there's sleep-eat-walk-read-trek-sleep. Any which way, you will be well fed and well rested at the end of the holiday. Yercaud also takes you back to a simpler time: when you walked a lot, when a ten-rupee boat ride was fun, when you didn't hunt for parking whenever you went out, when snacking did not mean going to cafes, but, eating hot 'bajjis' or peanuts from a vendor, and when meeting for coffee meant having hot chai seated on the footpath or a park bench. It's life without brands. It's the 1990s. 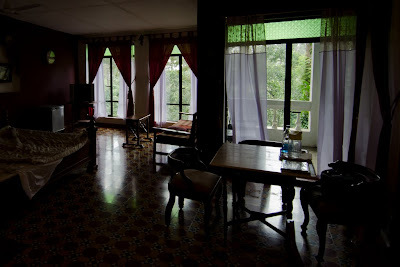 Coming back to the suggestion I was given, of what to do at Yercaud, I hauled myself out of my room some days. The lake, which is the 'central' area of compact Yercaud, was a short walk from my hotel. I sat there each evening, watching people paddle away furiously at the cartoon-character shaped paddle boats. I sat through a frenzied photo-shoot of an awkward newly-wed couple, racing against the fading light - the lake seemed to be the focus of most peoples' activities, be it visitors or locals. At sunset, the park shut and all of us moved out, only to sit around the omnipresent tea stalls; the thought of hot tea as the temperature dropped drew us to them like moths to a flame. An unwritten rule-book for hill-stations seems to mandate the presence of at least one waterfall and one viewpoint; even pint-sized Yercaud complies. The 1.5 kms long, pant-inducing trek to Kiliyur falls may lead you to an anti-climax during the dry season; however, visiting on the heels of one of the heaviest monsoons in Tamil Nadu, I had a beauteous cascade of water to behold. There isn't much space around the falls for hordes to stand. So, if you don't want your view of the falls speckled with people, visit on a week-day, like I did. If the climb down wasn't tedious for you, the way up the steep path and steps will surely work up your appetite for lunch. The very nondescript Shevarayan temple hides a surprise cave within. 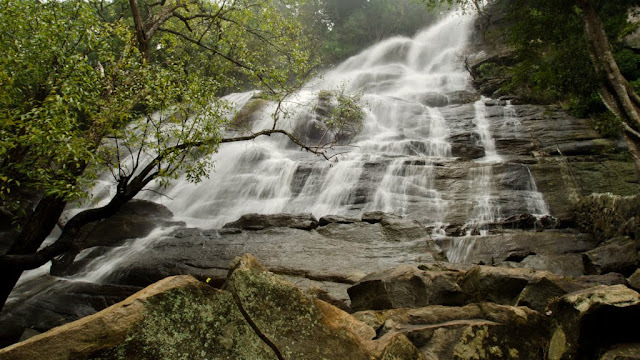 The idols are of Lord Shevarayan, the patron deity of the Shevaroy hills in which Yercaud is nestled, and, the river Cauvery. 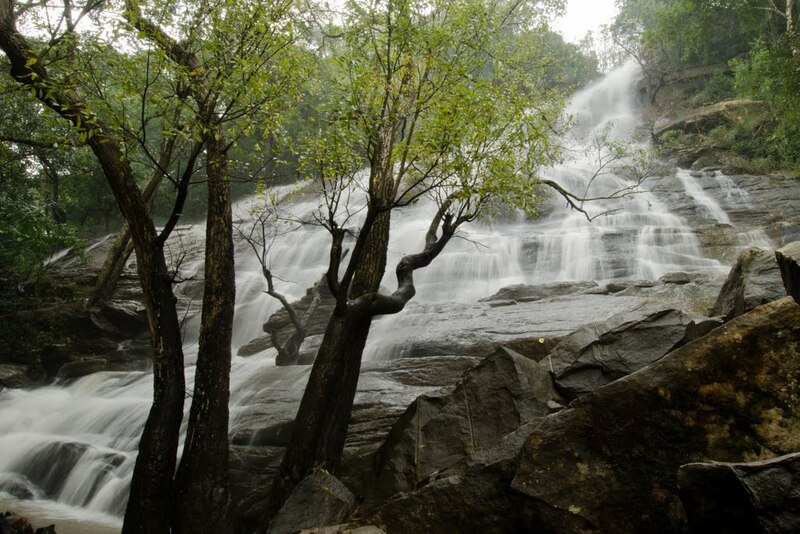 The cave is said to be so deep that its base touches the river Cauvery. A very uninterested priest presided over the temple and ensured I didn't linger once I'd made the customary donation to his 'aarti plate'. A little disappointing were the three famed viewpoints - connected by a single road, crowded and littered. They're curiously named ladies', gents' and children's seats. The winter weather didn't help either and views were misted-out even in the afternoon. In better weather, I can imagine that the vistas might have been beautiful, even allowing views of Salem. There is a humungous park being developed around these points, with the road linking all the way to the lake and the boat-house below, to create some sort of 'tourist hub'. Shudder? Wiser now, here's what I'd suggest you do: Leave your expectations behind. Choose accommodation with sprawling property. Carry binoculars, sensible walking shoes and a good book; in winter, a light sweater too. Feed on staples of hot soup, chai and bajjis. Do 'nothing' for a few days. The erratic mobile signal is actually therapeutic. Yet, be close enough to return quickly to ‘civilisation’ when you need to. The bag of oranges in your car will be the only souvenir of your holiday; yes, Yercaud grows other things besides coffee. Besides, of course, growing on you. Good read, need to make a visit once sometime! Nice write up. Took me back to my memories of a bike ride up these hills. Thank you...I'm sure the bike ride would have been fun. Nice narration with good photographs.. Loved it.. Thanks. Am glad you enjoyed it! You are really impressive as a writer, humorist, traveller, linguist, cynic and an esoteric. Hopefully I can meet you sometime as I am of a similar mould but of course, have most fun trips with my family. Thank you, Suhas; it's very generous of you to say this.